If you happen to be at Crawford Lane and did not want to join the long queue for the Hill Street Tai Hwa Bak Chor Mee that has been awarded 1-michelin star recently then this Teochew style Fishball Noodle is a definitely a good alternative. 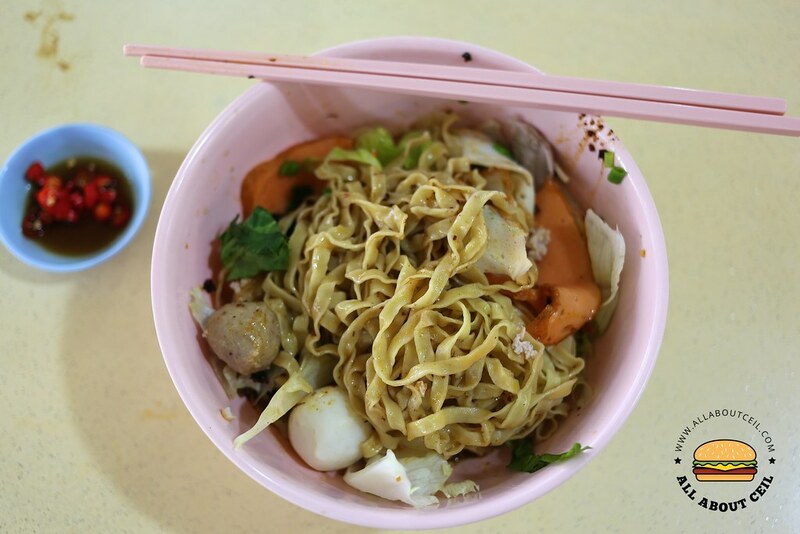 It is located at a coffee shop nestled under the HDB block, just a stone's throw away from that Bak Chor Mee. 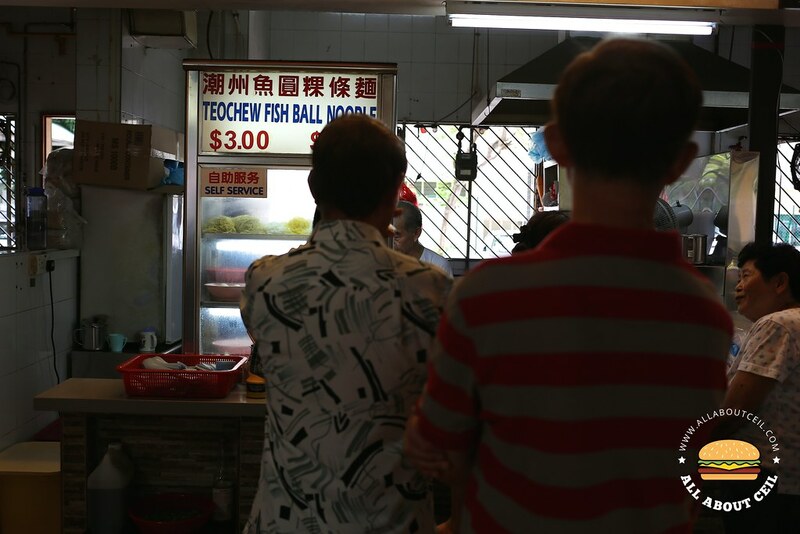 This stall is manned by an elderly couple and they have been cooking Fishball Noodle for more than 50 years. They started it at Selegie Road for about 40 years then shifted to Jalan Besar for about 14 years before moving to Crawford Lane. There is always a constant queue and the queue will usually get longer during lunch, even so, the waiting time is not as long. The Auntie is taking the order and Uncle is doing the cooking, he is quite efficient. I ordered the mee pok at $4.00, though there is a smaller portion at $3.00. I was only told much later by a FB friend that i should order their mee kia instead as it is a better choice. It is served in a good portion with ingredients like minced meat, lean meat, white & orange fishcake together with fishballs and meatballs. I would not call this a Bak Chor Mee or even compared it to Hill Street Tai Hwa Bak Chor Mee, just like what i had read on a particular blog that left me dumbfounded. 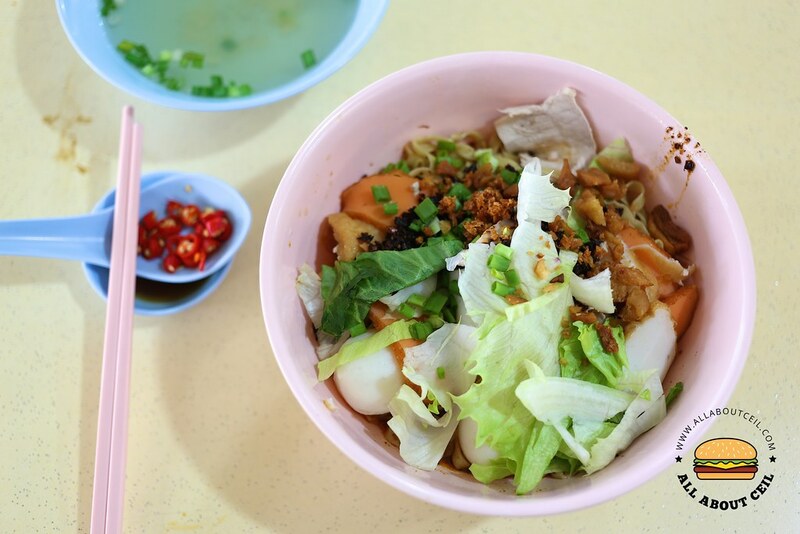 This is a typical Teochew style Fishball Noodle as it has even clearly indicated on their signboard. This is no way to be mistaken as Bak Chor Mee and there is definitely a difference between both, it is usually well-differentiated by their sauce mix. And, Bak Chor Mee is mostly served with braised mushroom and its sauce is always a part of the sauce mix. It also does not have pork liver in it. The mee kia could have been a better choice but i am not disappointed with my mee pok. It was cooked just right to retain its springiness and chewiness though it was slightly oily as i have requested for an extra amount of chilli to be added. I overheard the Auntie telling the Uncle to add in the 'Extra Chilli' when he was about to serve it. The Auntie will also ask you whether you would like to have chopped spring onion, fried garlic and fried pork lards added to the noodles. I enjoyed it pretty much as every strand of mee pok was nicely coated with their homemade chilli which bring forth the aromatic flavor. The fishballs still tasted decent even though they are no longer making them. The overall taste is simple but it is utterly delicious.